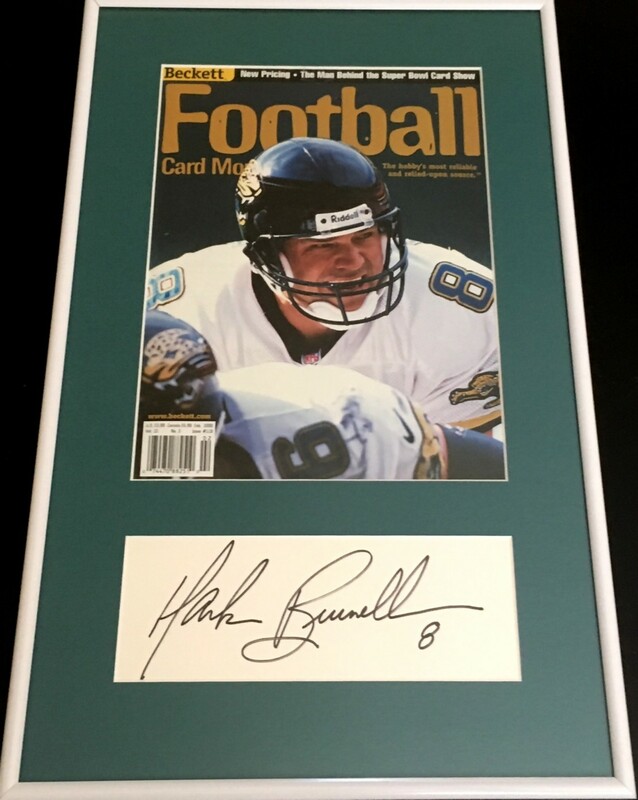 Large, bold Mark Brunell black marker autograph on white professionally matted and framed with his Beckett Football magazine cover, ready to hang. With certificate of authenticity from AutographsForSale.com. ONLY ONE AVAILABLE FOR SALE.